Okay, I’m going to stop obsessing about the inauguration and Obama-related food news (but what DID they serve at Wednesday’s revival of the White House cocktail hour??) and try to focus on the next big event: Super Bowl XLIII. Sometimes the tiniest little waves of a major flotilla are the most exciting. Sure, 95 percent of the country will be glued to the TV by Sunday evening, millions will cheer on Arizona, Pittsburgh, and/or The Boss, thousands will buzz over the new commercials for Coke and Cars.com. But how many will know that Americans are consuming more than 46 million pounds of Hass avocados on Game Day? 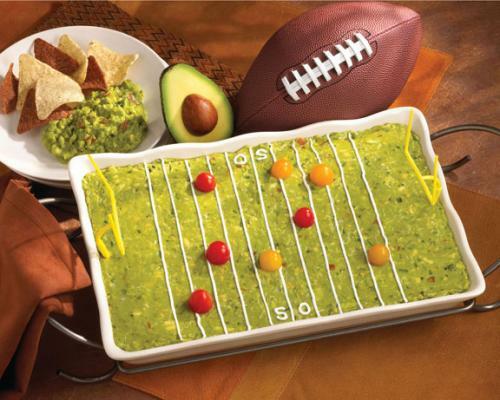 And how many will realize they can create an edible football field with just a batch of guacamole, sour cream, and a Ziplock? 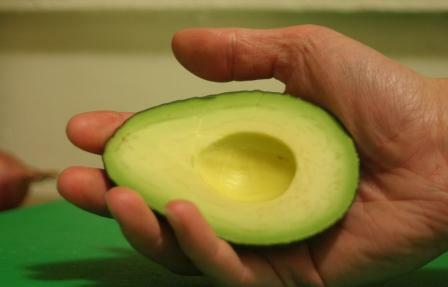 Hopefully, thanks to the small but mighty readership of YaD, hundreds will now be enlightened about the humble avocado’s role in this special day. Just read this and take a look at this. What are we supposed to do with the ziploc? Personally, I have always found them hard to digest. Well, I actually can’t take credit for that guac. Click over to http://www.dailybreeze.com/lifeandculture/ci_11566984 and you’ll see the source (and the technique with the Ziplock, “P”).